So pleased with this lovely feature by Andrea Capelli on Michelin Starred Chef Andrea Mattei. Andrea has been cooking up a storm this summer at his ‘Meo Modo’ restaurant located just 35 minutes from Siena. A big thank you to Real Homes Magazine for the lovely full page editorial for our wonderful client Ecora. 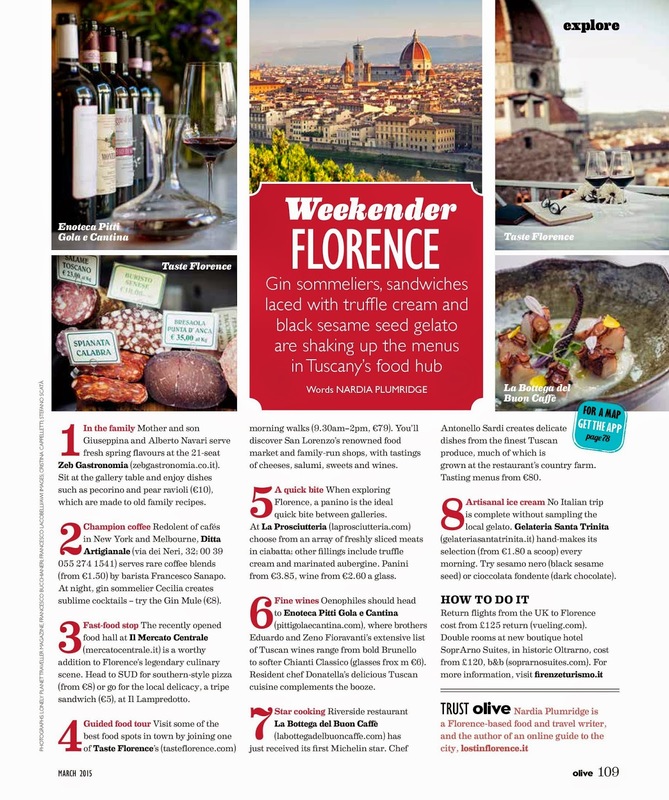 A big fat thank you to Olive Magazine for including the truly delicious ‘La Bottega del Buon Caffè’ in its round up of Florence this month. Thanks to the intrepid Nardia Plumridge of www.lostinflorence.it for putting the restaurant forward for inclusion in this lovely feature. CN Traveller say Borgo Pignano have one of the top swimming pools in the world.